Greetings telegram printed in colour. 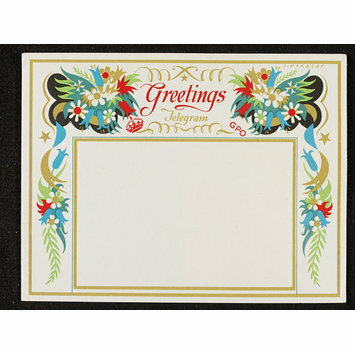 The sheet is bordered with gold and illustrations of flowers. 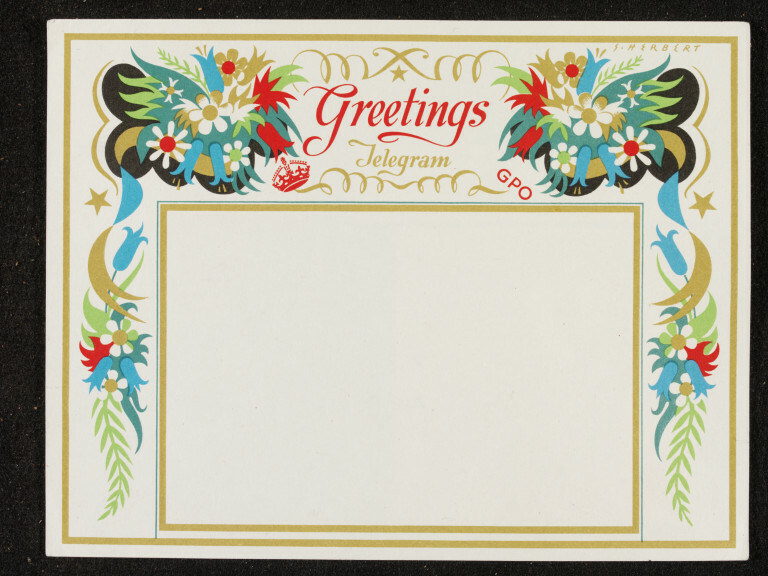 Greetings telegram designed by Stanley Herbert, and issued by the General Post Office. Process engraving, ca.1951. Victoria & Albert Museum Department of Prints and Drawings and Department of Paintings, Accessions 1952. London: HMSO, 1963.